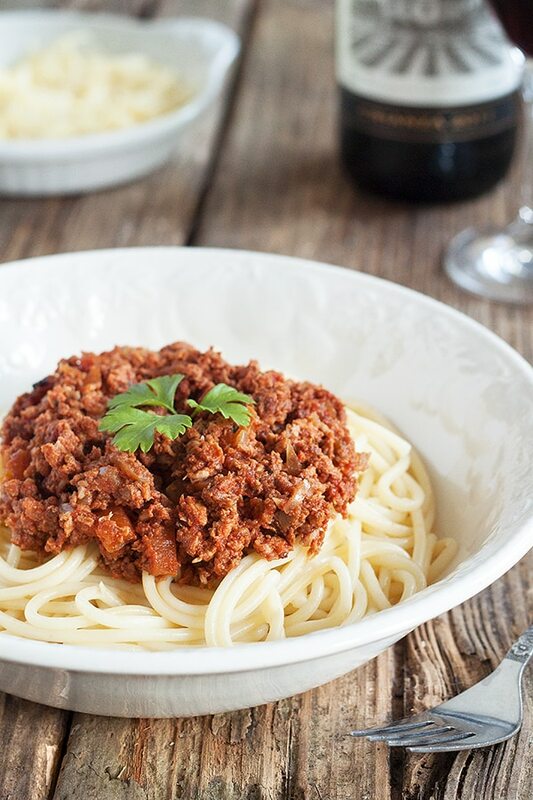 Spaghetti bolognese is truly a dish that only in the last 4 years or so I have really started to like. When I was younger I used to say I didn’t like the spaghetti, yet I would like other shaped pasta. When I look back I begin to wonder if it’s because the flavours of the bolognese hadn’t really ‘come together’ to make a rich, tempting sauce. Sorry Mum! But you may not have cooked it long enough for my liking haha. I don’t blame her though as she was busy running a business and I was a fussy kid. So when I started dating Jamie, and when we went to Italian restaurants, he had a habit of ordering bolognese, lasagna or bolognese pizza. My initial thought is ‘boring option’…but I always tried his food, and yet I was always slightly jealous I never ordered the same. After trial and error I have cracked an amazing spaghetti bolognese recipe and the secret is slow cooking. I love my slow cooker, it is sent from Heaven. I usually prep all the ingredients the night before, leave to chill overnight and then cook on slow the following day whilst as work. There is nothing better than coming back from a days work, to a gorgeous smelling house and to some wholesome, humble food with no effort. Add your mince, onion, garlic, carrots and mushrooms to the slow cooker and stir. Cover this with the passata and crumble over a stock cube. Mix it all together. Add the oregano, basil and season. You can add a little water if you like, but making sure it lightly covers your mince mix. 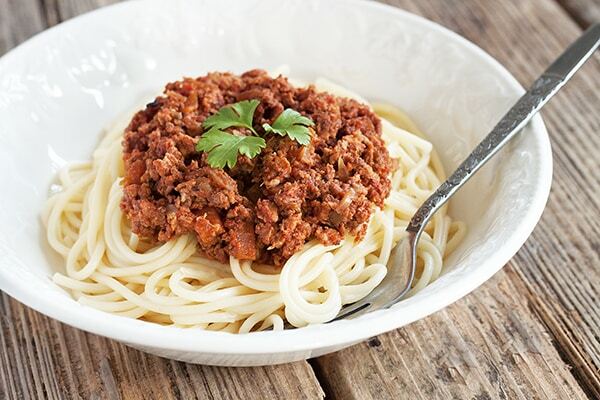 Too much water will lead to a watery bolognese. Stir everything once more. Leave to cook on low for 8 hours. Stirring once halfway through if needed. 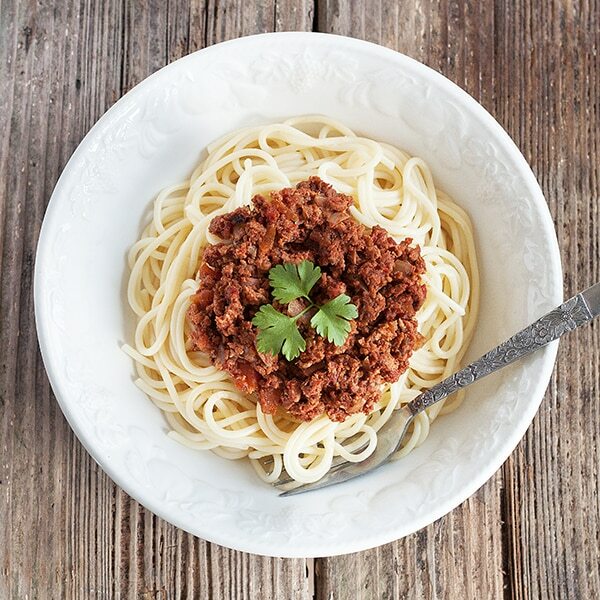 Serve with delicious fresh spaghetti. What size carton of tomato puree? opps! I shall input that now, I used 500g.